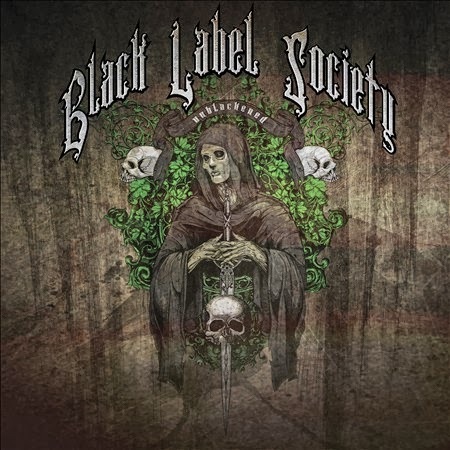 Black Label Society and "Unblackened" - not the traditional acoustic unplugged happening, but they are sitting down and several songs are sort of but not quite stripped down to basics. 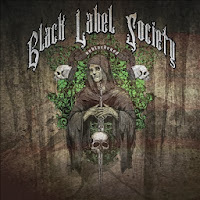 The gritty post-grunge southern rock metal is indeed the winning concept for BLS and the band, including gang leader and former Ozzy Osbourne guitarist Zakk Wylde as well as famed keyboardist Derek Sherinian are playing their most popular BLS songs, a couple of Wylde's solo as well as the project of Pride & Glory. Recorded and filmed March 6 2013 at Club Nokia in L.A. U.S. of A the band plays a set of intimate versions which goes down extremely well and it's just a great atmosphere on stage as well in the audience. It's like if they invited their fans to come on over to their house and have a meeting at the living room of Black Label Society. I actually prefer several songs this way to the originals. The slightly laid-back 'southern rock' flavor add a new dimension and bite to several tracks such as 'The Blessed Hellride, Sold My Soul, Road Back Home, Spoke In The Wheel', etc. Zakk's just a top notch player and I really enjoy the guitar tone at the concert. The sludgy vocals, well, not too shabby, but there's better singers out there. The total of seventeen tracks and running time is approx 165 min including bonus feature. The Blu-ray disc version is simply flawless. The bonus content: Zakk visits HM Prison Stocken U.K. The warden introduced him prior to our guitarist sat down in a chair on the small stage and basically started this awesome flashy 10 minute solo before playing 'Spoke In The Wheel'. It's followed by the Q&A where the comedy factor is high as Zakk can barely understand the English accent of the convicts. Glorified drug and booze stories and basically Ted Nugent material and I quote, "If I was in Guantanamo Bay. I'd go hey buddy just so you know. Let's just make believe these guys (in the prison) are attacking us [making gun sound] I'd kill every one of them. It's self defense. That's a shame". The perfect role model and speaker at any prison? Oh my. The anti-bully message is however good even if the method is orthodox. There's also the short interview with Zakk (about Unblackened). Video for "Losin' Your Mind", and the photo gallery.